Take advantage of our offers and special deals to live an unforgettable experience in 2019 at Puy du Fou. Offer valid for all yellow-season tickets booked before 1 July 2019. To enjoy the Grand Parc at its best, we advise spending 2 to 3 days here. The third day costs only €5 if you book in advance. For a €6 supplement on your “Grand Parc + Cinéscénie” or “Cinéscénie” ticket, you can treat yourself to superior seating for the Cinéscénie show (subject to availability). This surcharge guarantees you a central seat in our panoramic stands. This must be booked at the same time as your Cinéscenie ticket purchase on our website or by phone on 0820 09 10 10 (€0.12 per min from a French landline). 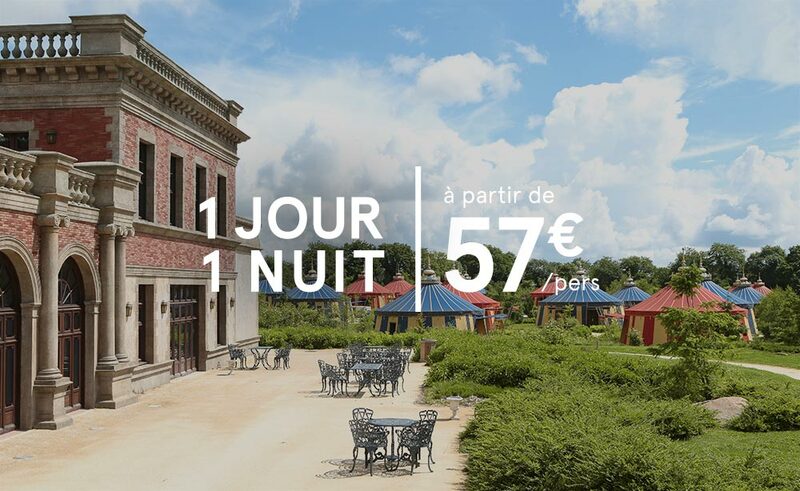 For an extra €15 per person per day, enjoy the Grand Parc at its best with the Pass Emotion. This supplement gives you reserved seating in the 7 major shows in the Grand Parc (subject to availability). You can save up to €3 per meal by pre-booking your table in the following Puy du Fou restaurants: Le Relais de Poste, le Café de la Madelon, L’Auberge, Le Bistrot, L’Echansonnerie, La Mijoterie du Roy Henry, L’Orangerie, Le Rendez-vous des Ventres Faims, L’Atrium, Le Banquet de Mérovée, Les Deux Couronnes and L’Ecuyer Tranchant. Book your tickets for the Grand Parc in advance to save up to 15% on gate prices. Bookings are taken up to 72 hours in advance, subject to availability. * Offer cannot be used in conjunction with other promotions and is valid only for bookings made before 1 July 2019. Reservation is possible up to 72 hours before the date of the visit, subject to spaces being available. (1) Once booked, tickets and breaks cannot be transferred to a third party, and cannot be altered or cancelled unless you have taken the optional cancellation insurance offered by Puy du Fou®. You can obtain the full terms and conditions of service by clicking here or by calling +33 (0)+33,820 09 10 10 (€0.12/min from a landline). (2) On a basis of 4 adults occupying the same room in the “Stay +” period. (3) This reduction only applies if you book your meals at the same time as your tickets for the Grand Parc. Valid for selected meal deals in the listed restaurants. Reservation is possible up to 72 hours prior to the date of the visit. The restaurants are only accessible to Grand Parc visitors on the day of their visit (subject to availability). See calendar for opening times.